Saul got up from the ground, and though his eyes were open, he could see nothing. 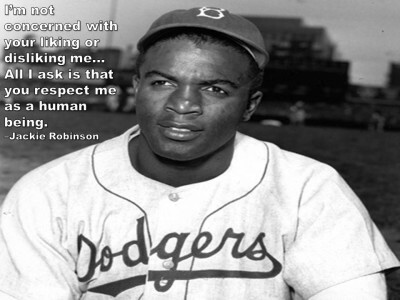 Acts 9:1-20 “Living the Sermon” In the movie “42” these are the words Branch Rickey spoke to Jackie Robinson as they struggled together to make integration of baseball a permanent reality of a once very segregated society. I believe he said this to help Robinson understand the depth and significance of enduring the struggle. The statement caught my attention for it’s significance in recognizing the narrative of Christ in our own lives when challenged with doing the right thing. Today as we strive to weave the work of the Holy Spirit in our own lives, to each and every one of us who are called there comes a point and time when we realize that we too live the sermon in the narratives of Christ. We don’t always recognize the part we play in this journey because the issues of society cause us to lose focus. As believers we are anointed to live the narrative of Christ. We are encouraged to do the right thing and we are supported and guided by the integration of God’s spiritual presence within us. To live in Christ means we no longer walk with our eyes wide open and yet unable to see.